After 14 years, we have retired. Thanks for the screams! Located just a few miles west of Louisville, you will find a warm welcome as you search our 6-acre pumpkin patch for that perfect pumpkin, or wander through our 14-acre corn maze. 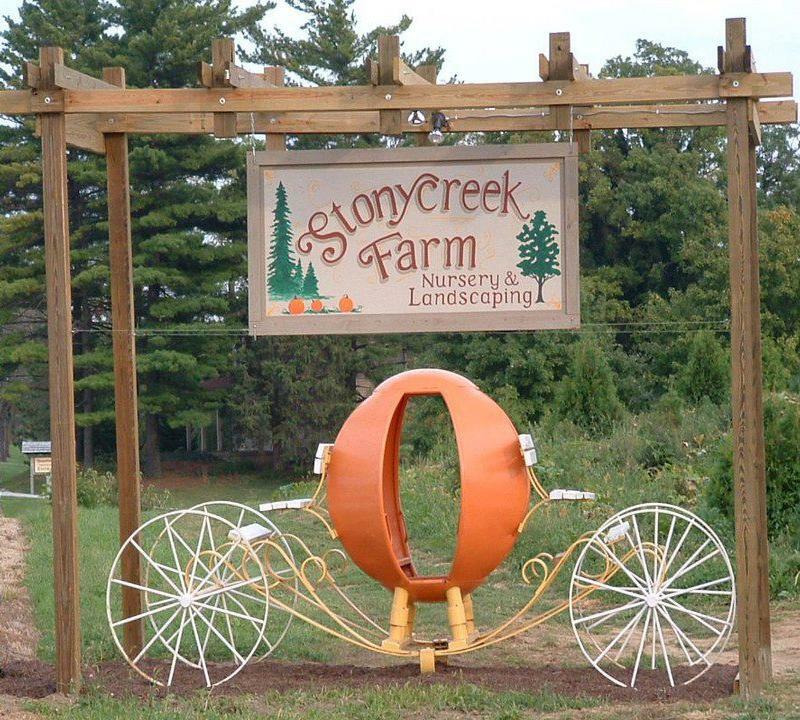 Take a scenic Hayride or Horse Drawn Carriage Ride through the woods and around our 170 acre farm. Come explore nature and our antique farm equipment. Among other things, you will find beautiful fall crafts, decorations and our awesome apple cider slushies and pumpkin cheesecake. See how spending time at Deere Farms can be relaxing and fun for the whole family. Visit our Gift Shop to find all the pumpkin accessories you could imagine to make the perfect jack-o-lantern. Our farm is the premier place to pick your pumpkin this October! We are kid-friendly and we welcome people of all ages! Everyone will enjoy their time here at our pumpkin patch! We have received the Lieutenant Governor’s Hoosier Hospitality Award - you are guaranteed to have a great time! 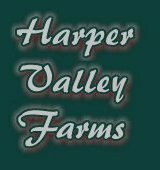 Come on down to the farm and enjoy searching for the "perfect pumpkin" among 8 acres of pumpkins, squashes and gourds in scenic Harper Valley. Near the sales shed, visitors are welcome to see cattle grazing in the nearby pasture or watch the little pigs in their pig pen. A small sunflower maze, picked pumpkins, squash and gourds along with garden mums, honey and other fall decoration are also available in this area. Bring the family and come join the fun!!! We are a fundraiser for a women's crisis soon. 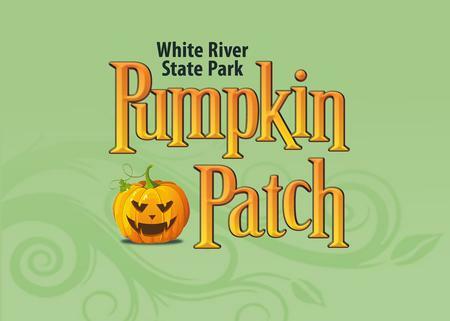 Where are pumpkin patch, petting zoo and more. Lots of family fun. Find the best Halloween attractions in Indiana, pick your own pumpkin patches in Indiana, corn mazes in Indiana, Halloween hayrides in Indiana, and Halloween events that include attractions like face painting, face painting, pony rides, inflatables, Halloween hayrides, and places you can go and pick your own pumpkins in Indiana. Each Halloween hundreds of Halloween events for kids open each year in Indiana. Do you want to pick your own pumpkins and bring the kids where Indiana pumpkin patches includes other events like hayrides, corn mazes and more? Halloween Attractions helps you find simply the best and spookiest Halloween family fun in the state of Indiana. Farmers across Indiana have turned their family farm into massive Halloween events where guests are allowed to pick their own pumpkins, corn stalks, while having a fun Halloween Experience inside one of Indiana's biggest and best Halloween Attractions. Corn Mazes have become a staple attraction inside these mega Halloween Attractions in Indiana where farmers create detailed patterns in a corn field and guests must find their way through the maze of corn. Additionally one of the new traditions inside these Pick Your Own Pumpkin Patches in Indiana is the hayride where guests board a wagon and farmers pull you around spooky sets. Halloween Attractions in Indiana are huge over the top Halloween Family Fun for everyone no matter if you are looking for a Indiana Corn Maze, or Halloween PIck Your Own Pumpkin Patch in Indiana www.HalloweenAttraction.com is the single best source to find everything Halloween this October we want to help you locate all the best halloween events in and around the Indianapolis, Fort Wayne, Evansville, South Bend, Gary, Bloomington and Lafayette, Indiana, areas. If you are looking to find the best Halloween events and more, find everything you need at www.HalloweenAttractions.com. Some Halloween Attractions in Indiana will feature a haunted house for kids in Indiana and or simply a haunted house. Many of these Halloween Attractions in Indiana will run daytime family oriented Halloween Attractions during the daytime and haunted houses at nightime. Make sure you check their website to find out of the daytime events are different than nightime events just in case you have young children. Haunted Houses in Indiana on family farms are simply put another way for farmers to earn additional revenue which in turn helps keep the family farm from going under. Try to support your family farmers and visit their Halloween Attractions instead of taking the easy way out and visiting some mega retail store to purchase your pumpkins. Grab your family video camera and head out to a Halloween Corn Maze in Indiana, and get out there and pick your own pumpkins in Indiana.